I am tired of nonprofits that blast their audience with obstructive messaging like a fire hose to the face on a hot summer July afternoon. This type of communication was disrespectful. It also shows a lack of strategic management on the part of the nonprofit leadership. I am sick of these organizations pimping out their audience uninspiring and disrespected messaging. I have seen nonprofits send out donation request emails during Thanksgiving and an application for gifts on Christmas. I have witnessed nonprofits ask their audience for donations while forgetting to provide value to their donors. This is disrespectful to their audience. It is also a clear indicator that the leadership of the nonprofit organization does not understand their audience. This is a sign of a struggling nonprofit organization, so donors are aware! Impersonal emails, over solicitation for donations, and one-way conversations hyping up prospects to give more and more. Many nonprofit organizations lack strategic planning and processes. The majority of nonprofits I have seen still prescribe to the old way of sending out content: Messaging (x) Distribution = Action. A nonprofit organization that uses this approach of forced communication view their audience as a means to an end. Well, those nonprofit organizations are stupid and wrong. Nonprofits need to use strategic content to reach their audience and drive action. When a nonprofit abuses their donors with poor messaging, they show they don’t care about their cause. 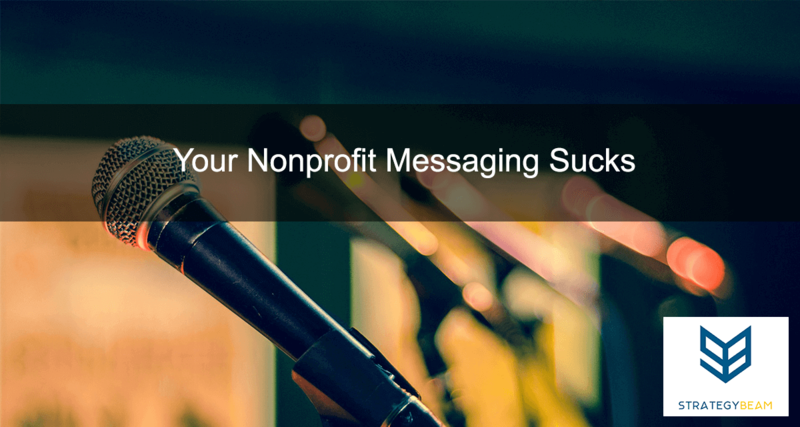 What nonprofits fail to realize is that they have a fantastic opportunity to connecting with their audience in new and meaningful ways. Marketing is a relationship, and nonprofits depend on relationships to grow their influence through comprehensive outreach campaigns, process improvements and leveraging smart content. Now it’s your turn! How do you use content to reach your donors in a respectful manner? Let me know in the comments below!